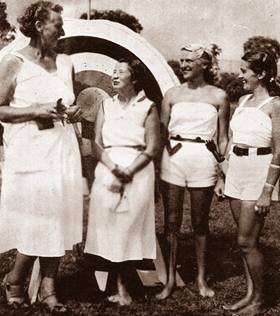 "Described by many as the greatest female archer of all time ". 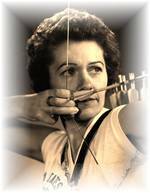 Ann (Weber) Hoyt is to archery what Patty Berg and Babe Zaharias were to golf. 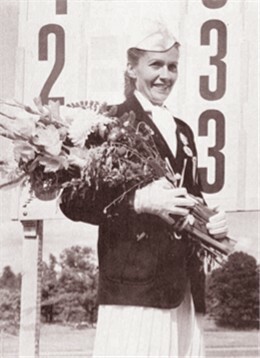 In over 20 years of competition in National and World Tournaments Ann has finished first eight times, second seven times and third three times. 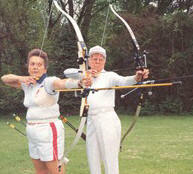 She has won the Eastern Target Championship 15 times and held the World’s Target and World’s Field Champion titles. 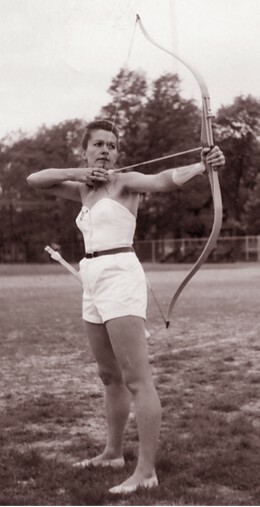 In 1955, Ann became the first woman to win both the National Target and Field Championships. 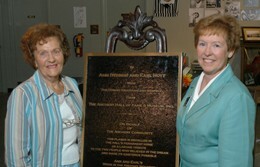 In 1958, Ann led the United States Women’s Team to a first place in the World Tournament in Brussels finishing second herself. 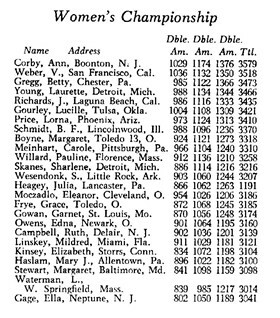 She repeated this feat in 1959 at Stockholm where the U.S. Women’s Team again finished first, with Ann this time winning the individual competition. 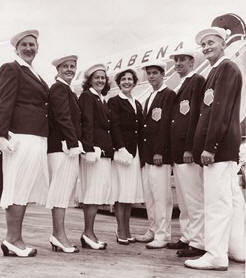 She also held hundreds of local, state and sectional tournaments titles. She has rewritten the record book over and over with her brilliant shooting. 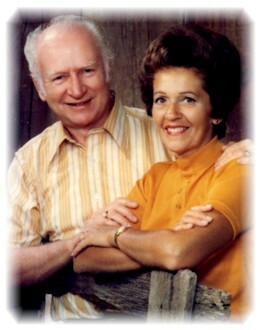 The following is an excerpt from a letter written by Ann Hoyt in 1985. After 48 years in Archery – the first 22 years in intense competitive shooting both target and bare-bow field – about 30 years or so in sporatic bowhunting (with 12 deer – 1 fox and a variety of lesser game) and 42 years in Archery production, sales and management – to pick a single highlight from these wide and varied experiences is most difficult. The most rewarding surprise in my career was the telegram I received from Dave Staples announcing my nomination to the Archery Hall of Fame, Class of 1972. 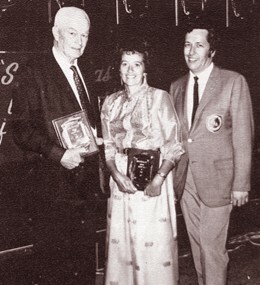 Wife of 1977 Archery Hall of Fame Inductee Earl Hoyt, Jr.